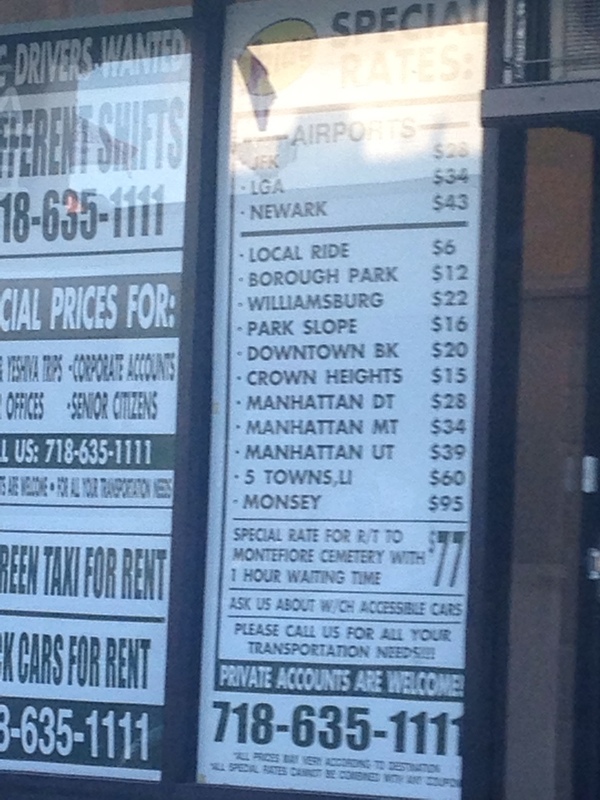 Here is the list of prices, with their phone number. Sorry it took so long. Thanks for posting. They got me to LGA for $35. I guess they raised the rate already. Does anyone else have issues getting through to them? I have tried on 3 or 4 separate occasions and not once has someone answered the phone. When I pass by, I'll mention it to them. Maybe they switched the number. anyone used this shul for parking lately? Is it safe? I think they stopped offering this entire service - as far as I recall back a year or two ago. Any other shuls offer this service? But I'm still proud to be from clev!